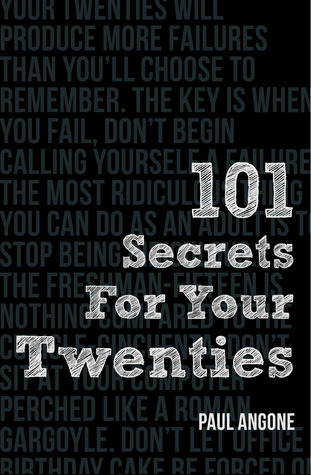 I received a copy of 101 Secrets for Your Twenties from Story Cartel. 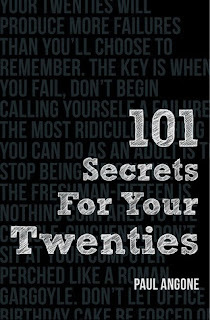 Based on his smash hit blog post, 21 Secrets for Your Twenties, Paul Angone has written a concise, light and entertaining list of 'secrets' for surviving your twenties. The blurb says: Every twenty-something needs a little black book of secrets. Our twenties are filled with confusion, terrible jobs, anticipation, disappointment, cubicles, break-ups, transition, quarter-life crisis, loneliness, post-college what the heck, moderate success sandwiched in-between complete failure, and we need a worn, weathered guide stashed somewhere close by to help shed some light on this defining decade. It has been 100 years since the events of Dracula, Jock Crapper is an estate agent working in London, and one of his clients is Count de Ville. When the house of which Count de Ville rents out, is intruded, Crapper starts to investigate and discovers the journal of Jonathan Harker. 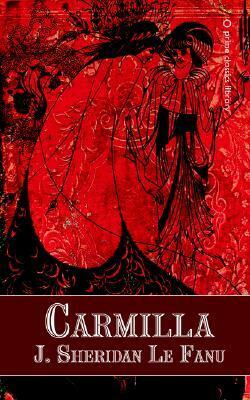 He also discovers a descendant of Van Helsing, who is a professor, and meets with her to discuss vampireism. After the Count decides to sell his Piccadilly home, Crapper makes a journey to Translyvania which mirrors that made by Jonathan Harker in Dracula. 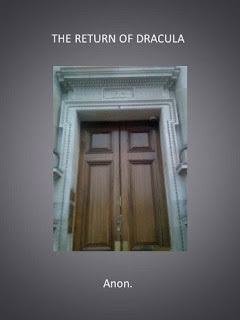 Dracula's Guest follows the night time adventures of a man revealed to be the guest of Dracula, and protected by him. After abandoning his coach, he stumbles across a cursed village where a female vampire lays entombed (and is burnt by lightning), and is then set upon by a shape-shifted vampire in the form of a wolf. The guest is then saved by a troop of guards who are out looking for him. Often wrongly attributed to Lord Byron rather than to its true author, Polidori. Due to the short length of the story, there will be spoilers in the following review. The Vampyr follows Aubrey on his trip to Rome with a mysterious English gentleman named Lord Ruthven, but when Ruthven seduces the daughter of a mutual acquaintance Aubrey parts ways with Ruthven and travels to Greece. While there he meets, and becomes infatuated with Ianthe, the daughter of an inn-keeper, who tells him legends about vampires. One night Ianthe is found dead of a vampire bite, and shortly after, and unsuspecting Aubrey resumes his travels with Ruthven. Ruthven is shot and subsequently dies, causing Aubrey to be shocked when he sees him alive and well upon his return to England. Aubrey is held by oath that he would not reveal the truth of Ruthven's passing, and so when he and Aubrey's sister become engaged he is helpless to do anything. Eventually he pens a letter revealing the truth about Ruthven, and then dies. 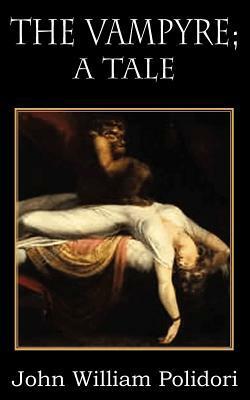 On the morning after their wedding night, Aubrey's sister is found drained of blood and Ruthven is nowhere to be seen. Freddie was fighting in Iraq when the IED went off, causing severe damage to his leg, before his injury he was a keen gamer, playing World of Warcraft in an attempt to escape both the emotional strains of his youth, and the horrors of actively serving in Iraq. Freddie starts physical therapy with eternal optimist, Becky and soon discovers that she's interested in healing more than just his leg injury. Alongside Freddie's story is that of Fredrick's, a Prince of a fantasy world where he must pass four tasks before becoming King. While in the land of magic, he meets a gardener, Rebecca, who has more faith in him than he has in himself. 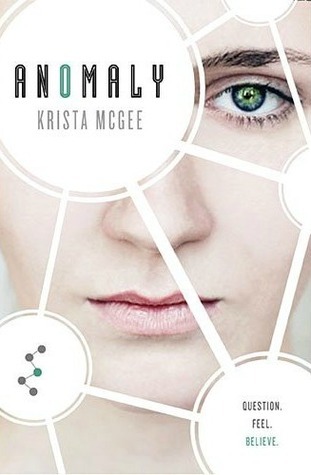 I received an ARC of Anomaly from netgalley in exchange for my review. Thalli is a member of Pod C, the third generation to be created by the Ten, scientists who survived the end of the world cause by nuclear bombs. Thalli is the Pod's musician, and her best friends Rhen, the Pod's logical thinker, and Berk, that generations scientist in training, are other members of the Pod. At 9 years old her friend Asta is removed for annihilation after a 'malfunction' of her perfect health. This sends Thalli into a spiral of questions and doubt about the State that she is living in. Once removed herself, Thalli is reunited with Berk, and meets John, a priest from before the apocalypse, he teaches her about God and the theology behind Christianity, and Thalli then begins to think for herself. 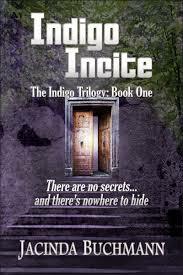 I received a copy of Indigo Incite from the author in exchange for my review and blog tour stop. Indigo children are becoming more and more commonplace, they are children that have telepathic skills that vary from child to child, and they can form bonds between each other, as well as do things such as heal, speak telepathically with other Indigo children, read minds, open locks, read auras and influence emotions. 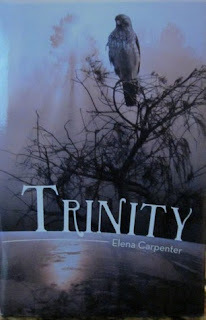 Toby and Tyler are identical Indigo twins, and when Toby is kidnapped, Tyler will do anything to get him back. Cue a trip round the US to pick up other Indigo children in danger of being kidnapped. 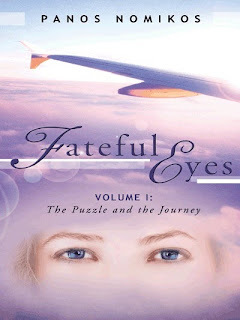 Tyler meets up with Eddie, a science major, Liliana the granddaughter of Chinese immigrants, Sarah, the pregnant wife of a man on an overseas tour, and Grace, a talented musician. Between them they have to keep safe and one step ahead of the I.I.A (the Indigo Intellegence Agency, an off shoot of the C.I.A), and come up with a plan to save Toby and the other kidnapped Indigo children who are being held in the secret compound. 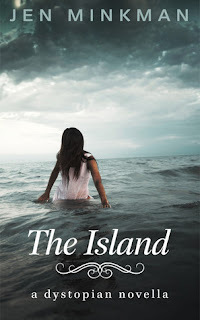 On the Island, children leave home at age 10, and enter the Manor House until they marry. The story starts with twins, Leia and Colin, leaving their parents and moving. It then picks up 6 years later when Leia is feeling disenchanted with the self-appointed leader of the Manor. 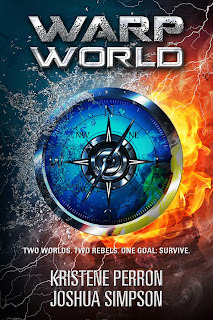 She steals the Book (a Star Wars notebook that is believed to be the holy book of the people of Newexter) and her whole world starts to unravel. She meets a boy from the other side of the wall, called Walt, and is captivated by him, eventually running to him for help. Laura is the only child of a rich Englishman, who lives with a few servants and her father in a castle near the ruined and abandoned village of Karnstein. When Laura was a child she had a night vision in which she was visited by a beautiful woman and felt a piercing pain in her chest. Many years later, Carmilla comes to stay at the castle, the same woman that Laura saw in her dream, shortly after people start dying in the surrounding villages and Laura becomes ill herself causing the suspicion to fall on Vampires. This suspicion is further enhanced when Laura's father's friend, the General, comes to visit and tells them of the circumstances leading to the death of his ward/niece, who was a girl similar in age to Laura, and made friends with a beautiful visitor. 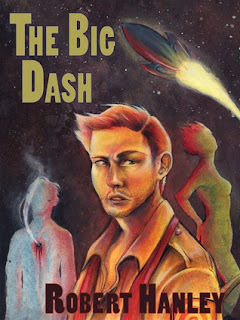 I was given an ARC of The Big Dash via Eggplant Literary Productions, in exchange for my review. Jax is the Director of Security on a spacecraft with only a handful of passengers when a call from law enforcement reveals that there is stolen information on the ship that could spark another war on board. 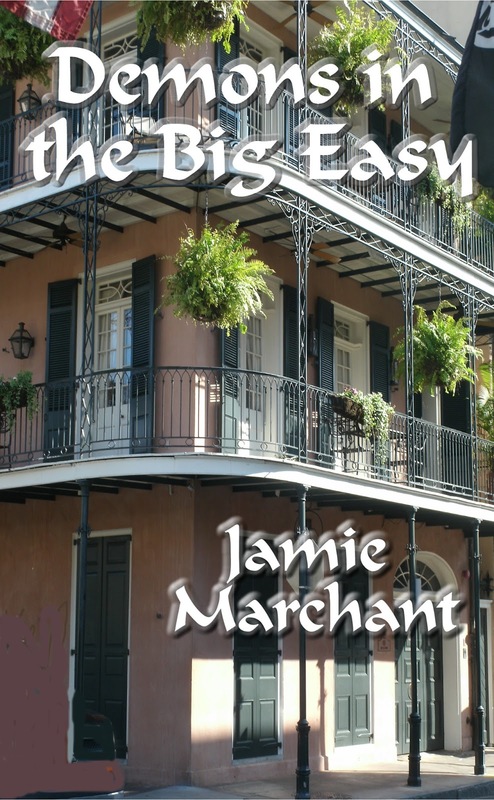 To further complicate things, one of the crew members is found to have been shot, and Jax has a race against time to solve the crime before they dock and law enforcement takes over. Book 1 in the Eden series. I was given a review copy of Eden through a Goodreads group. Aiden is your normal 15 year old boy, he's not that popular, he has one good friend, wears glasses, has a crush on the popular girl, and loves his little sister. Then one night a witch from a land called Eden transports him to her world where he is part of a prophecy and the one to save Eden from the armies of Prince Callum, the younger brother of the High King. 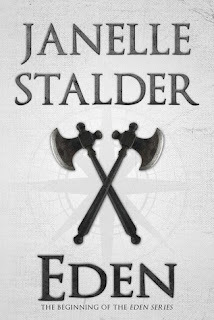 There he meets the devastatingly beautiful, Elisa, the best archer in the King's army at only 17, and the only woman, her reluctant fiancee, Wolf, his best friend, Logan, and another young recruit, Felix. They embark on training for the war that will decide who the High King will be, and along the way are the troubles and turmoils that being 15 - 17 will bring! 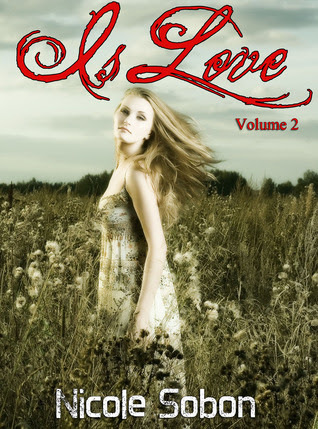 Each volume of Is Love is approximately 30 pages in length and told the story of a girl named Ridley. 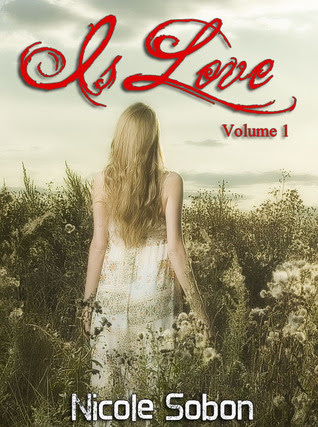 Volume 1 opens with Ridley being sentenced to the compounds for the crime of falling in love (with a boy named Kieran who is sentenced to the detention centres) which is against the law of Caiden. Caiden is ruled by The Council, and they control just about everything that their citizens do. Little does Ridley realise that there is more going on in the Compounds than anyone realises, and it is far more sinister than at first thought. The Council moves in and destroys Compound 1, while Ridley escapes with her new friend Roslyn. They make it to the detention centre, where Ridley is reunited with Kieran, and the two of them escape from the council, only for Ridley to be captured again, and for her to learn more about her defence lawyer, Vera than she'd previously imagined. Book 1 of the Outside series. 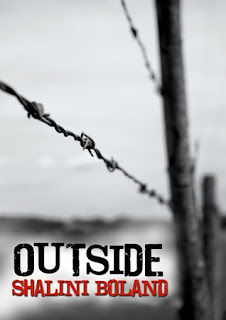 I received a copy of Outside from the author in exchange for a review. Riley's sister Skye is found dead in the next door neighbor's pool house by their son Luc, the man suspected of murdering her is Ron Chambers, but he escaped. 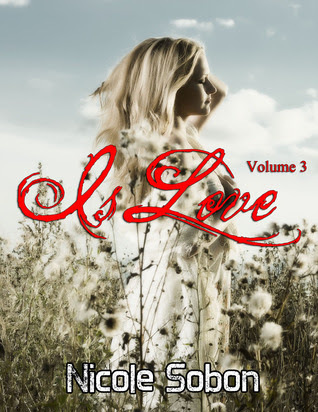 In her grief, Riley convinces Luc to go on a man hunt for Chambers with her, but that involves going outside of the perimeter fence, something she has never done. The perimeter was set up to keep them safe from the unrest in the country following terrorist attacks worldwide. Running parallel is the story of Eleanor, or Ellie as she is sometimes called. Her story is told around the time that the perimeters went up and the terrorist attacks, and resulting controls were implemented, and mainly focuses on her love life. Riley and Luc's adventure takes many turns and results in a twist that changes lives. Liz is a normal teenage girl, she spends time with her best friend, Sara, and has a massive crush on her friend, Jared. 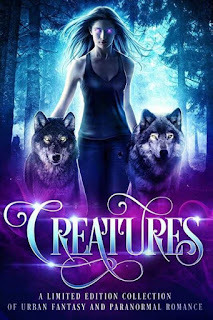 But being a normal girl changes suddenly when, whilst on a hike, Liz, Sara, Jared, and Sara's boyfriend, Danny, witness events that confirm local legends about two rival immortal clans, the Ogres and the Corzos, are actually real. Liz then meets Lenzo, and she starts to fall in love with him, but she loves Jared...but as a back drop to this massive decision, everybody's lives are in danger, which just makes it more complicated! 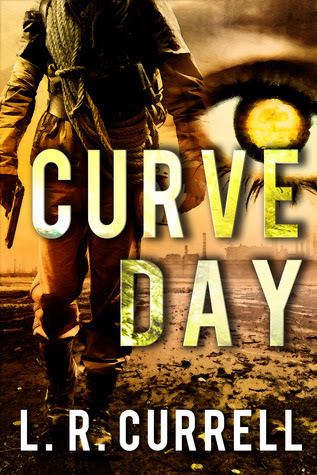 I received a copy of Curve Day in exchange for an honest review. 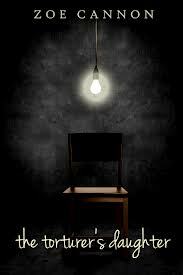 Each year there is one day when people can kill other citizens without any repercussions. This was implemented in the USA in order to curb over population and in an attempt to lower crime rates, and this day is known as Curve Day. Curve Day picks up in the run up towards the 11th Curve Day and follows a range of characters (including army personnel, hired soldiers, a police officer, a homeless man, a young kid and the director of a video website) up until midnight of the day itself (so the end of it). 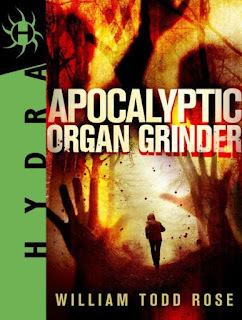 I was given an ARC of Apocalyptic Organ Grinder via netgalley. Mankind is split into two factions, the People or Spewers and the Clear-Skins or Settlers. Many generations ago a virus was released, called the Gabriel virus, and it became airborne. Most people who catch the virus die, but some are just carriers who suffer some of the symptoms but won't die, these became the People. 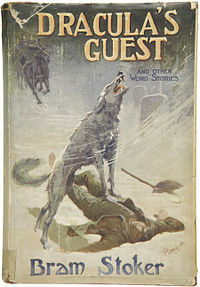 But the Settlers, people who would die if they came into contact with the Gabriel virus, are out to kill all of the People in an attempt to purify the human race again, one such man is Tanner Kline, a Sweeper, who comes upon a pair of infected lovers and kills them only to be discovered by Lila, a hunter of the people. Tanner is caught and is determined to escape and make his way back to his daughter, but things aren't as easy as they seem. 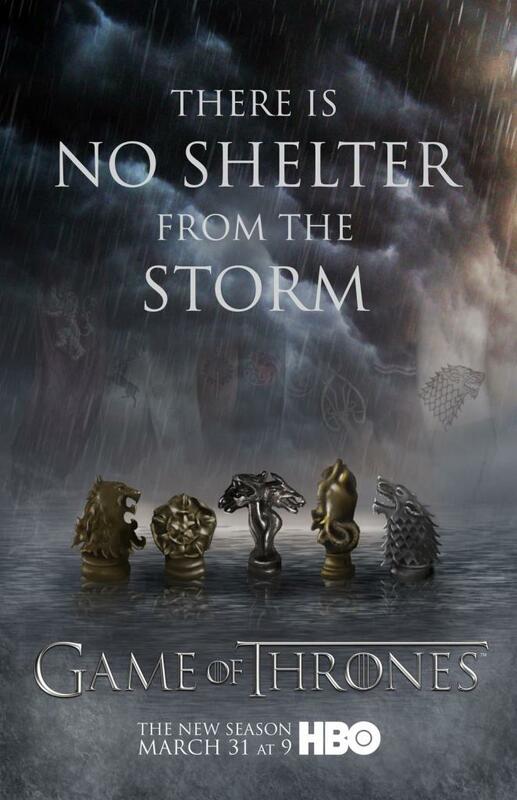 There may be spoilers for all 3 seasons (all episodes) and all of the books, up to and including A Dance with Dragons. This 'review' is set up in headings and bullet points because I was updating it while I was watching (so quite often you'll find random thoughts and reactions.) To make things even clearer, I was expecting and prepared for the Red Wedding in episode 9. 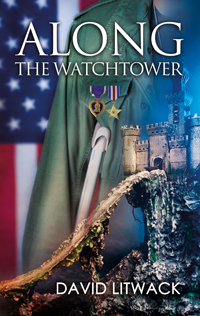 Book 1 of the Devices of War Trilogy. 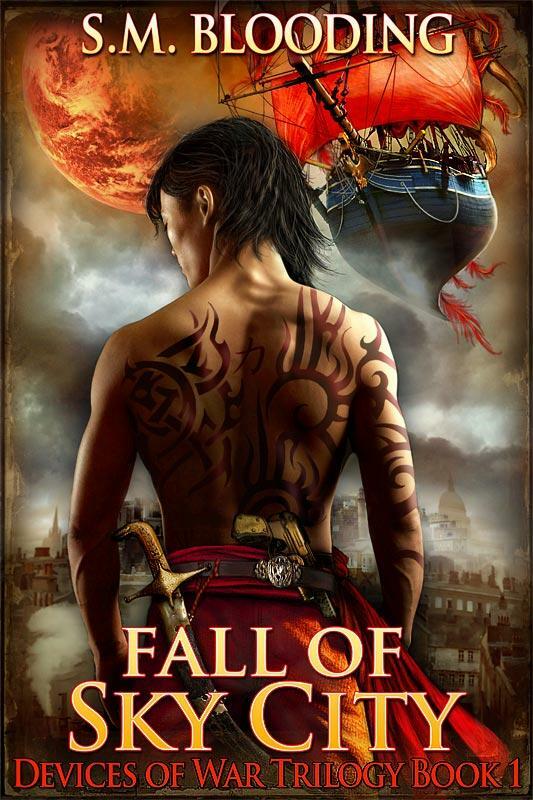 I was given a copy of Fall of Sky City, in exchange for a review and blog tour post. Synn is the child of two great families, Ino and El'Siem, but the families are being persecuted by a religion, and dictatorship, referred to simply as 'the Hands'. 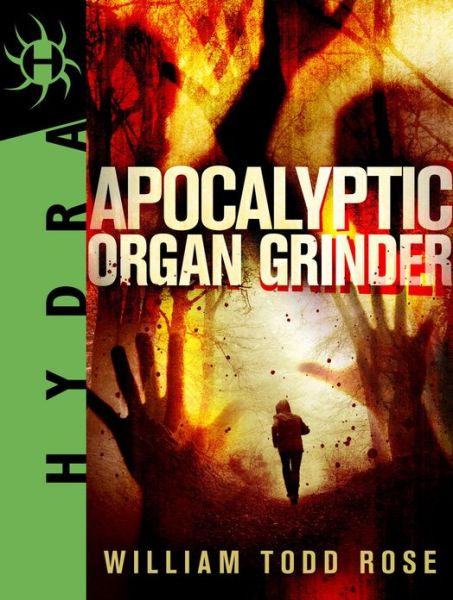 Synn and his father run into the airboat of the Queen of Wands, Queen Nix, and after Synn reacts to her burning members of one of the families, she attempts to burn him, only to have his mark surface and be revealed to be one of the most powerful marks ever.